You can order your Music Pack using the PayPal button at the foot of this page. This will be delivered to your child at school, however please note that we require three working days from the date of purchase to organise delivery. We regret that we cannot guarantee next day delivery. If you need to make purchases for lessons or equipment you can go straight to our Store pages without logging in. The same goes for our My School menu, where you can check lesson dates and other useful information. Our Key Stage and Harp QI menus have protected content however, which supports our classroom learning. Access to these pages is for Subscribers only. Our subscriber log-in code can be found in our Music Diaries and Music packs. 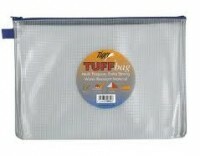 Starter Packs are issued in a durable A4 Tuff zipper folder to keep all your equipment and music together. 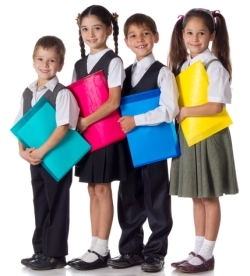 Children should bring their pack to each lesson. The pack contents are listed above, and may include added harmonica promotional give-aways, such as stickers and catalogues, when available. The 4 hole Hohner Speedy harmonica is ideal for getting started on the harmonica. It has the eight notes of the C Major scale and wider hole spacing for easy navigation. Colour options are Black, Blue, Pink or Yellow (subject to availability) and your first musical exercise is printed right on top, where it can’t be lost. 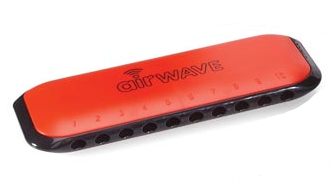 If you have a Free Taster Session, we will bring your 4 hole harmonica to School with your lanyard attached. When you order your Music Pack, simply add the Speedy and lanyard to your folder and bring everything to each lesson. We do not include a second Speedy harmonica. By the end of Y2, children are usually keen to graduate to their first 10 hole harmonica. We use the Suzuki Airwave as this is a sturdy, well-engineered instrument, with familiar wide hole spacing for early learners. The additional channels facilitate a wider range of repertoire, technique development and spacial awareness. This provides a good foundation for progress towards a standard metal 10 hole harp. Colour options are Orange, Red or Blue. 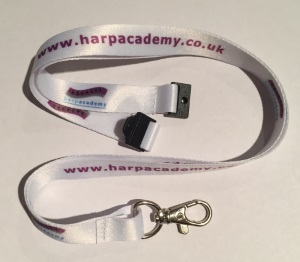 Your Harp Academy lanyard is for attaching to your 4 hole Speedy harmonica to prevent the harmonica from being dropped. The lanyard comes with a standard quick release safety clasp. If you received this at your Free Taster Session, keep it attached to your 4 hole Speedy harmonica and add both to your music pack. We do not include a second lanyard in your pack. Children start their journey learning traditional tunes, as these are already familiar to many. As they progress into KS2, we explore a wider range of material from TV and film, to classical, folk, rock, reggae and charts hits. Your Harp Academy teacher will also have their own tried and tested favourites. 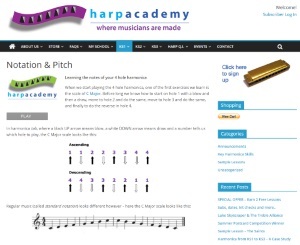 Music sheets are issued by Harp Academy teachers as new songs are introduced and can be kept in your folder. Parents/Carers can also download and print these from the support pages in our key stage music libraries. 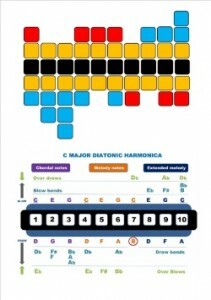 Our harmonica maps for 4 hole and 10 hole harmonica are the ideal reference guide for understanding the layout of the diatonic harmonica. Each map comes in two parts. Firstly, a colour coded block chart mapping blow notes, draw notes, standard bends and overbends. Secondly, a more detailed diagram, showing note names and their respective positions . 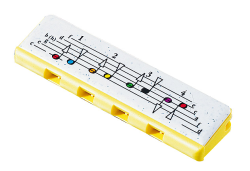 For KS3 and more confident KS2 players, we can provide a Hohner Silver Star metal harmonica instead of the Suzuki Airwave. There is no extra cost and the note arrangement is exactly the same. 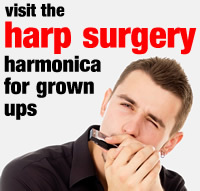 Children will benefit from fast-tracking their embouchure development and adopting a ‘grown up’ harmonica sooner. Please note there is no need to log in when making lesson payments or ordering kit in our Store. Simply add items to your cart and check out using a credit/debit card. When making payment by PayPal, please remember to indicate who your payment is for!